Happy New Year everyone! I took a mini holiday break, but I’m back and super excited about all that 2015 holds in store. 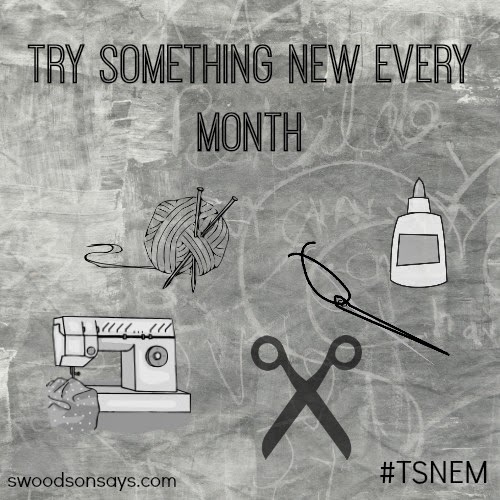 To start with, Stephanie from Swoodson Says is hosting a fun new series called TSNEM – Try Something New Every Month. She’s giving us all a proverbial nudge to try our hands at a new skill. Whether you participate each month or only once or twice throughout the year, the good news is that you’ll have tried something you hadn’t tried before and probably even learn something along the way. This month I went with glass etching, which is kind of cheating since I had technically tried it before. That was YEARS ago though (I won’t tell you how many, hehe) so it definitely felt like I was starting from scratch. I already shared the Nativity Glass Etching I made, but I wanted to add that I am so happy I retried this art form. It’s so simple to do and the result is stunning. 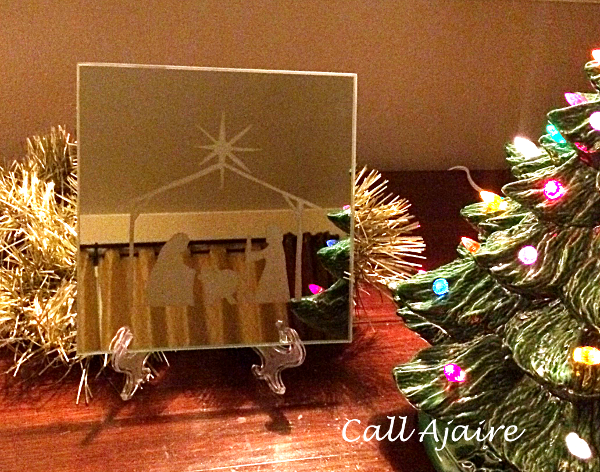 I made another quick nativity scene using a mirror and from start to finish the project took less than an hour! If you try something new in the crafty realm this year, be sure to use the hashtag #TSNEM so we can all be inspired! Check out the other TSNEM participants in January and what they made! 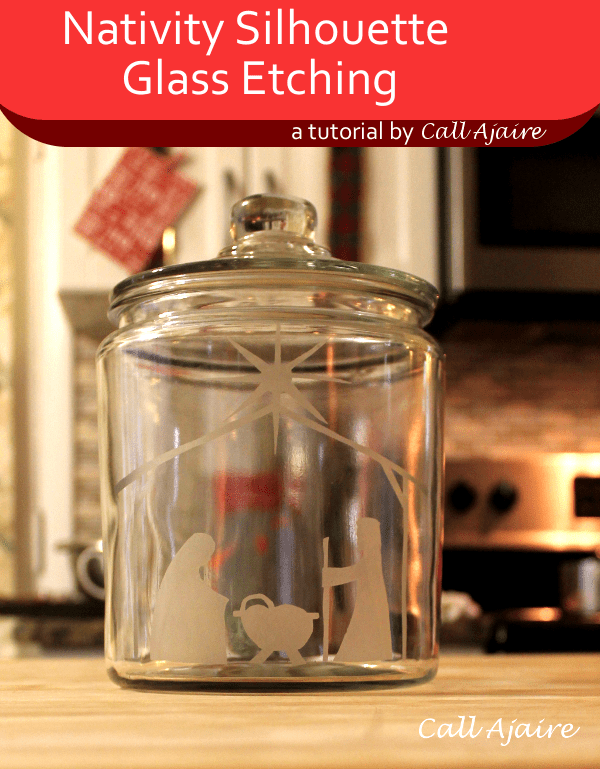 I've wanted to try glass etching for a while and your tutorial makes it look so easy! I will have to try it soon. Thanks for sharing!